It is of great benefit to level fast in Blade and Soul. For one thing, you can grind as much as you can at early levels. For other things, leveling up fast can ensure you are on equal footing with players who eager to upgrade to high levels. 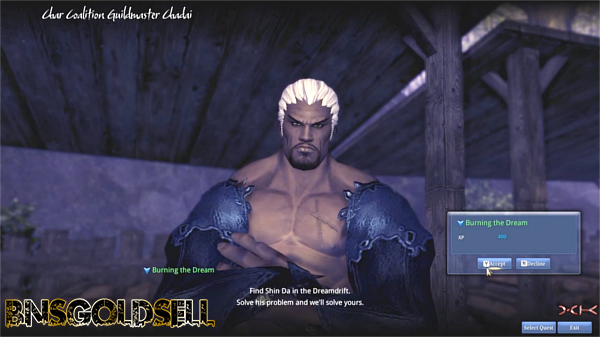 This guide is to give some advice and tips for you level fast in Blade & Soul. Normally, players think it is necessary to complete all the quests in game in order to level fast. In fact, it is only necessary to complete all available quests when you are in low levels, generally before level 10, which can make you go ahead of the mobs and have the option later to skip quests which takes more time and hinder your progression. It is important to make sure you gear up with the right weapons based on your character class. 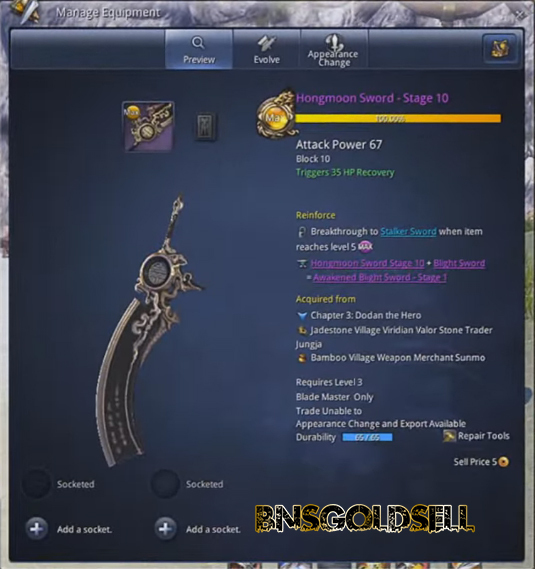 The weapons in Blade and Soul can be upgraded and usually fit certain classes. It is necessary to buy cheap Blade and Soul gold for your to buy materials for upgrading weapons and gear! 1. It is of great importance to gear with right weapons. Bid on things that are necessary and upgrade weapons and accessories when you confront hard bosses or your damage and health are declining. Improving your arsenal of weapons and materials is the best way to stray a bit off the main quests and gain some out-of-the-way rewards. To faster level up, some daily quests are not necessary to be done repeat. 2. It is necessary to do some side quests, such as those with unique rewards like soul shields which can help you gain strength and become more experienced, which makes you more capable of progressing. As for the quests which takes much time and hard to complete, you can give up as they doesn’t influence main story quest line. 3.It can save time to summon other players to join party for completing some quests. Working with a team usually can help you save time and sources for some difficult quests. Especially, when there are too much high-level monsters to defeat. 4.Grinding is way to stay within the same level so you should spend some time grinding on mobs. You can gain exp from grinding. You can try to get some Dragon Soup items for efficiently grinding. A Destroyer class can give you tremendous strength and great defense when grinding mobs and can help you in your progression later. It is best to grind on levels 10-15. 5. Own the right character build. Two main facts influence the leveling up speed. One is the character class’ AoE damage, and the other is the defensive strength. Therefore, you should have a good built character. When you goes to level 45 or higher, it is especially important to have the right materials, stay on the right path and pick quests wisely.